This must see comedy by Tim Clue and Spike Manton broke box office records when it premiered. 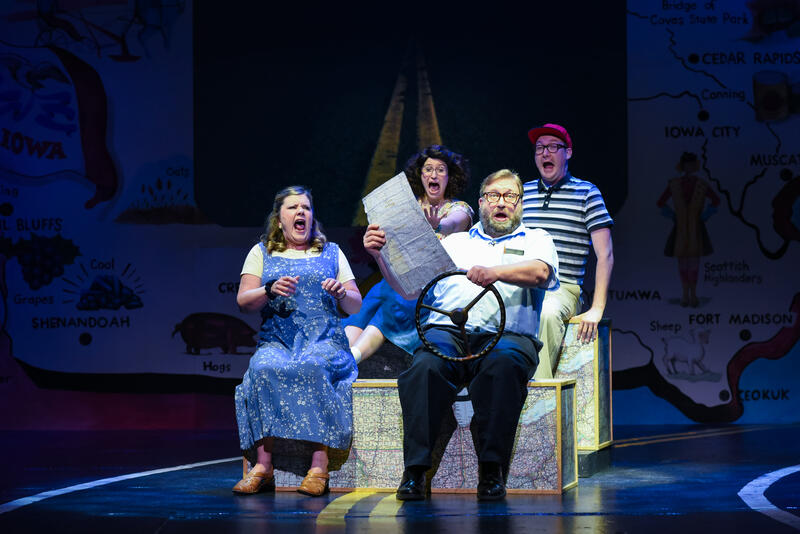 Anyone who has ever taken a family vacation will find this wonderful play both hilarious and touching. Don Browning is a middle-aged writer on a journey to take his father's ashes to Dad's childhood home, as requested. But when Don discovers that Grandma's house is now a grocery store, he travels across Iowa searching for a proper resting place. This father and son road trip shifts from the present to Don's memories of the annual, torturous vacations of his childhood.